Thinking of the average Christmas party might conjure up images of red and green attire, mistletoe and eggnog  but ... Vikings? Not so much. Well, that is, unless you roll with Nasty Promotions. 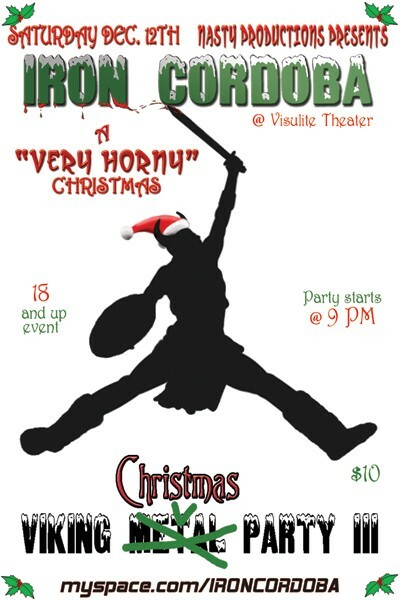 The now-infamous "Nasty" crew is presenting an alternative to the ordinary Xmas soiree with "A Very Horny Christmas," a Nordic-themed holiday bash that's set to go down Dec. 12 at the Visulite Theatre. 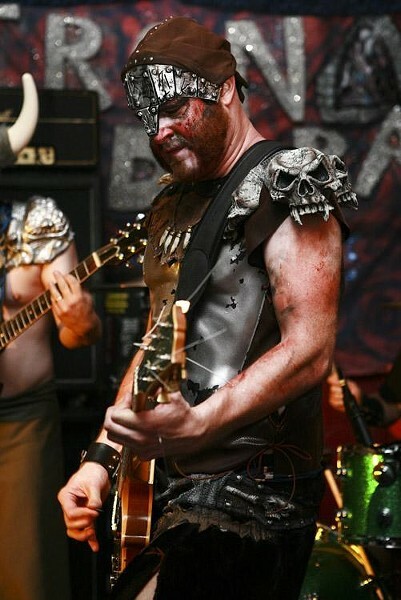 The event will feature live music by Iron Cordoba, "blood eggnog wrestling" from The Gore-A-Licious Girls, Mistress Collette's Brutal Holiday Torture, an appearance by the bearded man in red (Yes, Santa, and folks will get the chance to sit on his lap, too), a costume contest and more. Tracie Nasta, mastermind of Nasty Productions, has been in the music/party biz for 11 years, bringing a variety of offbeat productions to Charlotte. Past parties have included '60s-, '70s-, and '80s-themed parties, as well as a white-trash-themed shindig, among others.